There’s something undeniably cool about East Sussex. Perhaps that’s why it’s one of the UK’s top camping destinations, home to some of the nation’s best camping and glamping sites. It’s within easy reach of London and yet has miles of beautiful countryside including parts of the High Weald Area of Outstanding Natural Beauty and a large chunk of the South Downs National Park. There are quaint villages and market towns as well as the bright lights of boho Brighton, Hastings and Eastbourne. It’s a county steeped in history with castles, forts and ruins to visit, as well as a string of beaches and family-friendly attractions. Our selection of campsites includes the best places to pitch your tent or park up your caravan, as well as a collection of quirky glamping sites. Whether it's touring 1066 country and visiting historic spots such as Battle, Hastings and Pavensey Bay or simply walking the chalky cliff tops of the Seven Sisters Country Park and the coastline around Eastbourne and Birling Gap, there are plenty of locations in East Sussex that draw the crowds. And deservedly so. As the Europe-facing front of Britain, East Sussex is awash with history and home to plenty of settlements with a story to tell. Here we pick out just a few of the key areas that campers love to visit on their holidays. It may just help you narrow down your search to find your perfect East Sussex campsite. At the very eastern end of the South Downs National Park, the pretty village of Alfriston is a wonderful camping destination. 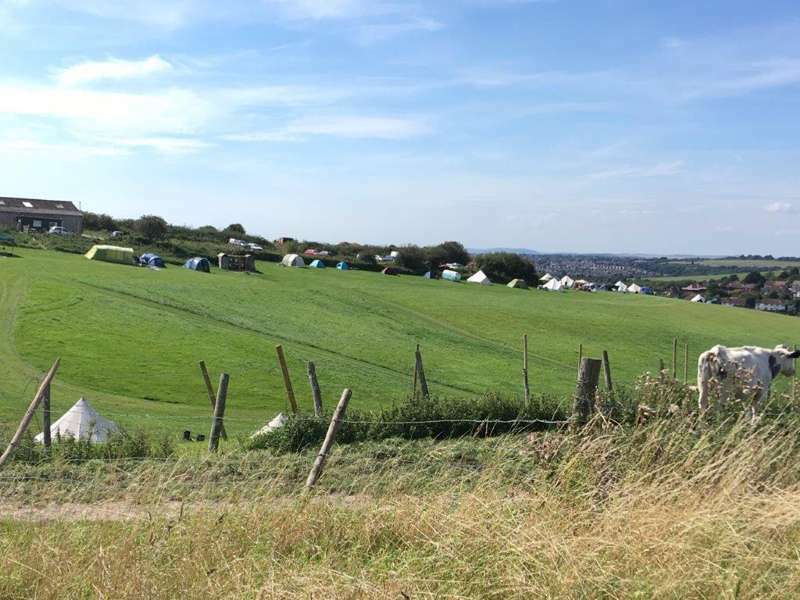 Within easy reach of the south's most famous seaside towns, as well as the fantastic walking around the Birling Gap and the Seven Sisters Country Park, pitch up and enjoy these campsites in Alfriston and the surrounding countryside. On a high ridge in the High Weald AONB, Ashdown Forest is a vast tract of ancient woodland in the midst of South East England. Wound with footpaths and walking trails, it's an excellent place to visit on any camping holiday and there are ample good campsites in the local countryside around. Discover 1066 country and go camping near Battle in Sussex, the site of one of the most famous battles in British history and, today, a pretty Sussex village with a famous abbey and plenty of good campsites nearby. There's plenty to see at Bexhill-on-Sea, one of the most historic towns on the East Sussex coast and a fantastic place to visit on any camping holiday. Home to a number of archaeological sites, an Edwardian and Victorian old town centre and the famous De La Warr Pavilion (which, today, is a centre for contemporary art), as well as the long groyne-striped beach, Bexhill has plenty to keep you busy. Want to go camping near a castle? Few castles look as classic as moated Bodiam in East Sussex and the cute village of Bodiam, too, is a delight. The local area is awash with good campsites and if you want to go camping within east reach of Bodiam there are plenty of options. From the local Sussex coastline to the hills of the South Downs National Park, discover the best campsites within easy reach of Brighton with this curated collection. Live the outdoors life and camp under the stars by night, while enjoying easy access to town and all the fun of the seaside by day. Fancy a bit of Camber camping? Camber Sands beach is renowned for its beautiful natural features. It's home to the only sand dune system in East Sussex, while the village itself is by the estuary of the River Rother and the historic town of Rye, with a plentiful supply of good campsites in the countryside around. The pretty Sussex village of Ditchling is the perfect place for a camping holiday. With a village pub, cricket pitch and a local nature reserve, it is the very image of rural England. The local landscape is dotted with good local campsites where you can pitch your tent or park up a campervan. Just to the east of Beachy Head, the highest chalk cliffs in Britain, the vibrant seaside town of Eastbourne is a fantastic focal point for any camping holiday, with plenty of great campsites in the surrounding countryside. As always, only the very best make it into our collection. Half way between the High Weald AONB and the South Downs National Park, and eight miles from England's South Coast, the town of Hailsham is an East Sussex centre point and a convenient base on any camping holiday. If you're on the hunt for a good spot to pitch your tent or park a campervan, you've come to the right place. In the very heart of East Sussex, the pretty village of Horam, on the edge of the High Weald AONB, is surrounded by camper-friendly countryside, with a glut of fantastic campsites within easy reach. There are a couple of caravan parks in the village itself but it pays to stretch your legs a little further afield, where there are more traditional campsites within easy range. At the eastern end of the South Downs National Park, the pretty, cobbled town of Lewes is the country town of East Sussex and a wonderful place to visit on any camping holiday. 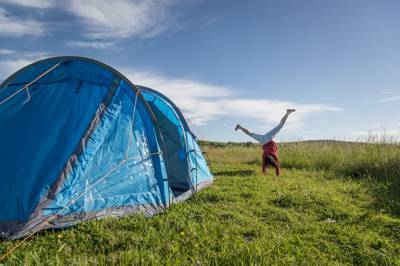 Discover our favourite Lewes campsites here and book your escape today. With ferry connections to Dieppe in Normandy, the port town of Newhaven is well known by campers heading off on their camping holidays in France. The town is well located for holidays in England too, with the Ouse Valley to the north hosting a handful of good campsites and with many other campsites in the local countryside, particularly in the South Downs National Park. Pevensey Bay just south of Pevensey village, is a beautiful pebble beach and a wonderful place to visit on any camping holiday, particularly for history lovers. It was here that William the Conqueror made the landing in his invasion of Britain and the surrounding landscape plays host to plenty of good campsites from which to explore the area. As always, only the very best make it onto our Cool Camping shortlist. Once an important cinque port, the small, pretty town of Rye in East Sussex is a camper's delight. The town itself is a treasure trove of nooks, lanes and interesting shops and boutiques, while the countryside around it is peppered with good campsites where you can pitch your tent or park up a campervan. The seaside town of Seaford is a beautiful place to visit on your camping holiday. Seaford offers fantastic country walks, heading into the Seven Sisters Country Park, the Cuckmere Valley and the South Downs. There are plenty of campsites in this surrounding countryside and, as always, the best of them make it onto our Cool Camping shortlist. 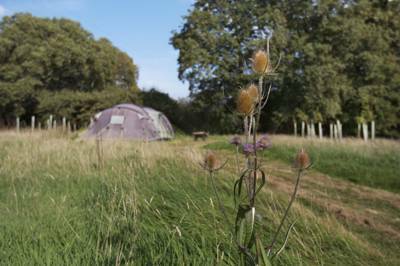 There are lots of incredible campsites in East Sussex and it’s easy to see why. Offering both coast and country between the city and the sea, it’s a great destination that’s easy to get to by road or rail. The most dramatic part of the South Downs, the Seven Sisters chalk cliffs, are in the south west while at the opposite end of the county, a huge area is designated as the High Weald Area of Outstanding Natural Beauty. Woodland, farmland, rolling hills and heathland stretch for miles and there are some interesting market towns and places to visit from quirky Lewes to historic Battle, not to mention the big-name seaside resorts of Brighton, Eastbourne and Hastings. With lots of cool campsites, competition is high and, subsequently, so are standards. You can camp among the bluebells of the county’s ancient woodlands, pitch up in a sunny meadow on the South Downs or find a favourite spot on a farm site in East Sussex. There are lots of sites with campfires allowed and plenty of places with added attractions: a tree swing here, a pizza oven there, forest school, circus skills, bushcraft courses and more. 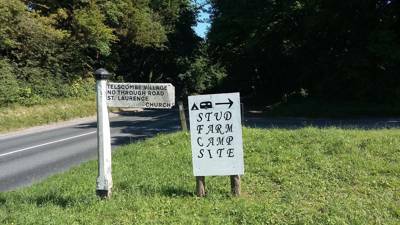 You name it – East Sussex campsites have probably got it. But that’s not to say it’s all organised fun and sociable sites; there are also more traditional sites and places where you can pitch for peace and privacy as well as a huge variety of incredible glamping sites. If you’re looking for the very best campsites in East Sussex, our collection will not disappoint. East Sussex is a great place to pitch up with your own tent. 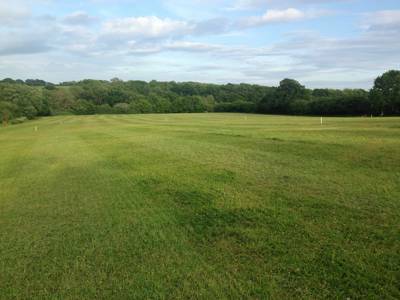 There are dozens of places to choose from and whether you prefer the dappled shade of a woodland campsite, the wide skies of a meadow location or a pitch with a view, there’s likely to be a spot to suit you. We’ve done our best to seek out campsites which offer something a little bit special: it might be an amazing location, a super-friendly host or a bit of flair in the facilities. It’s unlikely to be a bar and a clubhouse, hardstanding pitches and row upon row of identikit pitches where you’re wedged between motorhomes. We steer clear of the big holiday parks and only give the thumbs-up to places we’d like to camp ourselves. Sometimes back-to-basics tent camping is at its best when it’s just that: basic. Without the distractions of modern life, you can kick back and enjoy the simple things; the view of East Sussex coast or country, the sound of birdsong and the crackle of a campfire – ahhh bliss. For a real digital detox, leave mobile phones and tablets at home, along with the temptation to use them, and pitch your tent in a site that’s deliberately off-grid. Classic camping is also great value and great fun in to the bargain – plus you can feel pretty smug that your camping staycation is having a limited effect on the environment; use public transport to get to your pitch and it’s probably the most eco-friendly way to go on holiday. East Sussex seems to be particularly good at glamping offering everything from pre-pitched bell tents to some of the UK’s quirkiest accommodation. Fancy sleeping in a converted plane or a timber tree tent that’s suspended from the trees? You’ll find both among the glamping on offer here. There are glamping-only sites where you’ll be among like-minded people and campsites with a few glamping units where you’ll feel like you’re in first class. There are also a few secluded spots where there’s just a shepherd’s hut or two – perfect for a romantic weekend or private retreat. Glamping is great for weekend getaways as you have less to take with you and more time to enjoy yourself. It also gives people without their own camping gear the chance to discover the joy of campsite life without investing in a lot of expensive equipment – for that reason it’s a great way for new campers to dip their toes in. You can choose from pre-pitched bell tents, yurts, tipis and safari tents if you fancy staying under canvas. These are great in summer and range from tents that are simply pitched for you to personalise to tents that have been completely kitted-out for you. Then there are romantic, retro and stylish gypsy wagons, shepherd’s huts and vintage caravans which hark back to simpler times and will have you reaching for the camera – no filter needed! 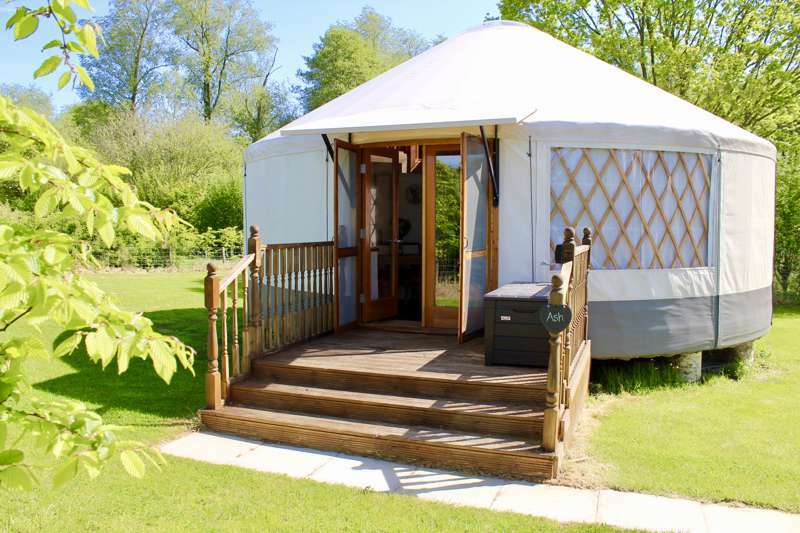 East Sussex, along with the rest of the UK, has embraced glamping in the last decade and offers plenty of more elaborate glamping options too. There are treehouses, one-of-a-kind cabins, geodesic domes and converted vehicles and the list is always growing so we keep our eyes peeled and our collection updated with the latest developments in East Sussex glamping. Family-friendly camping in East Sussex is easy to find. There are lots of sites that have special activities and facilities for children from communal marshmallow toasting around the campfire to nature trails and forest school activities. Farm-based sites always go down a treat with kids with the opportunity to see the animals up close – and sometimes even help with some of the farm chores like collecting eggs and feeding newborn lambs. Even the most basic of campsites can be family-friendly though as camping is an adventure in itself that your kids are almost guaranteed to love. There are new friends to be made on site and depending on the lie of the land there might be endless games of football to be played, woodlands to explore, dens to be built and ponds to be dipped. Choose a site that’s got a car-free camping field and you may be content to let the kids run wild. Our experience is that it’s a taste of freedom that kids will love. Apart from all the on-site fun, there are new places to explore and some pretty cool family-friendly attractions in East Sussex from English Heritage sites like Battle Abbey to seaside funfairs in Hastings and Brighton and farm-based attractions out in the countryside. And after all the fresh air, it’s likely that your kids will be worn out and ready to bed down in their sleeping bags – and guess what? The novelty of sleeping under canvas might just mean they are happy to snuggle up and drift off to sleep while you enjoy the last embers of the campfire. The South Downs is a ridge of chalky hills and downs stretching from Winchester in Hampshire, across neighbouring West Sussex and down to the sea near Eastbourne. Classified as a national park in 2010, it is Britain’s youngest. You can walk the length of the Downs on the 100-mile national trail, the South Downs Way and, of course, the most self-sufficient way to conquer it would be to carry your equipment and camp along the way. It’s also a great place to visit on a day out for shorter walks, mountain biking, horseriding, paragliding or simply to enjoy the far-reaching views over the Sussex countryside and down to the sea. Market towns and picturesque villages with country pubs punctuate the farmland and countryside of the Downs making great pitstops on walks in the area. There are plenty of campsites in and around the South Downs and some highly-recommended glamping sites too. It’s only a few short miles from the South Downs to much-loved Brighton. The south-east coast’s most-popular and populated seaside resort embraces the alternative and is a fascinating place to visit with quirky shops and restaurants and plenty of attractions too. As a city, it may not seem like the obvious place for a camping holiday but there are some campsites within easy reach of its edges so it’s possible to camp and have an alternative city break. It’s also a great place for a day out. You can eat fish and chips from a deckchair on its famous pier, paddle in the sea and stroll through the maze-like Laines shopping area. Brighton blends seamlessly into Hove, where you can admire more elegant Victorian buildings and it’s not far to the market town of Lewes either. This historic town shares a fiercely independent streak with its bigger near neighbour and has its own fair share of quirky shops, cafes, attractions and historic buildings – albeit on a smaller scale. The High Weald is an Area of Outstanding Natural Beauty that’s characterised by yet more rolling hills with irregular-shaped fields, areas of woodland, farmsteads and ancient lanes which are a reminder of its medieval past. East Sussex claims most of the High Weald but its boundaries also include parts of Kent and West Sussex too. Instead of the chalk ridges of the South Downs and the parallel North Downs (in Surrey and Kent), the High Weald has sandstone ridges and quite a different feel. 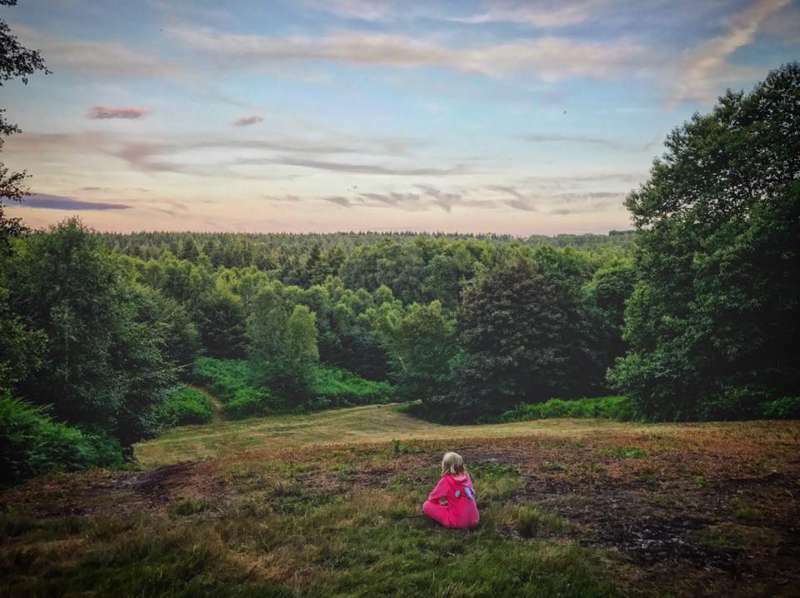 It’s a lovely place to camp if you like to be among peaceful, rural scenery and, as it’s in the north-east of the county, is one of the most easily accessible parts for people coming from London, West Sussex, Kent and parts of Surrey. Among the High Weald’s boundaries in East Sussex and at the heart of the High Weald, is the open-access land of the Ashdown Forest. Despite the name, two thirds of the forest is heathland – an internationally important habitat for wildlife. Like the New Forest, you can wander freely through woodland and open heath and can sometimes see grazing animals here alongside the birds and butterflies. Parts of the Ashdown Forest are recognisable as places in the Winnie the Pooh stories by AA Milne, who had a house here. You can visit some of the locations on a visit to the Ashdown Forest, including Pooh Bridge where thousands of people visit each year for a game of Pooh sticks. Head to the Ashdown Forest Visitor Centre for more information. You’re never too far from the sea in East Sussex, so unless you live by the sea, there’s no better time to take a dip in the cool waters of the Channel than on a camping holiday in East Sussex. Even if you’ve pitched your tent in the midst of rural bliss, it won’t take long to get to the seaside resorts of Brighton, Eastbourne or Hastings for a paddle and a stick of rock or an ice cream cone. But if the bright lights of the amusements arcades are too much, how about visiting the vast sands at Camber or taking a stroll in the unspoilt Seven Sisters Country Park where the South Downs meet the sea? In fact, the county has plenty of great walks and its well-signposted, long-distance footpaths are a good place to start. Grab your hiking boots and set out on a stretch of the South Downs Way, the Ouse Valley Way or the Sussex Border Path and you’ll feel like you really deserve your campsite dinner! If your type of stroll is one where you get to peruse the shops of the high street or the goods at a local farmers’ market try Rye, Lewes or Battle. Historic Battle was the scene of the 1066 Battle of Hastings and you can visit the English Heritage-protected battle field and nearby abbey too. The National Trust also has a number of properties in East Sussex, including Sheffield Park and Gardens, with formal gardens that are great throughout the seasons and plenty of space for picnics and walks. There are plenty of grand houses and gardens scattered throughout the county too as well as farm-based attractions that are great for kids. Other family-friendly attractions include Drusilla’s Park, the Sealife Centre in Brighton and the Bluebell Railway which runs from East Grinstead to Sheffield Park. For more ideas on days out in East Sussex visit the Love Sussex website. East Sussex at Campsites in East Sussex, Have you ever been camping in East Sussex? If you haven’t you’re missing out. With an array of campsites you really are spoilt for choice. Luxury glamping, woodland camping, campsites that are child-friendly, group-friendly sites. Plus many more camping options.